Washington National Cathedral damaged in earthquake. It’s the icon of a certain self-assurance in an earlier time, when many people in government were Episcopalians, and Episcopalians were at the top of the main banks, and J.P. Morgan was building the St. Paul’s School chapel. Here’s this great monument to Episcopal ego, you might say, though it is a church for all, and now here it is suffering $25 million worth of damage in an earthquake. "Maybe this is the desert time." Read it all here. Tip of the Tinfoil to SF. On the other hand Mohamed received much of is inspiration for a new, militan religion in the desert. ECUSA isn't in "the desert"...they are in a sea of heresy-ridden irrelevance, both theologically, and spiritually. being full-blown heretics doesn't fall in line with Biblical stories of the wilderness etc. I never cease to be amazed by the completely insular, vain, ignorant ramblings of ECUSA leadership (past or present). Their struggle is self-imposed, and their "struggle" will continue to result in more people leaving their buildings. Liberal double-speak won't save them...only full-blown repentance to the Risen Lord will...and unfortunately much of the leadership in ECUSA doesn't even believe "He is Risen". Ah ... if I do have anything nice to say, maybe I should not say anything at all. This person has reduced the whole rich and deep canon of the Old Testament to a single image, and that erroneously. 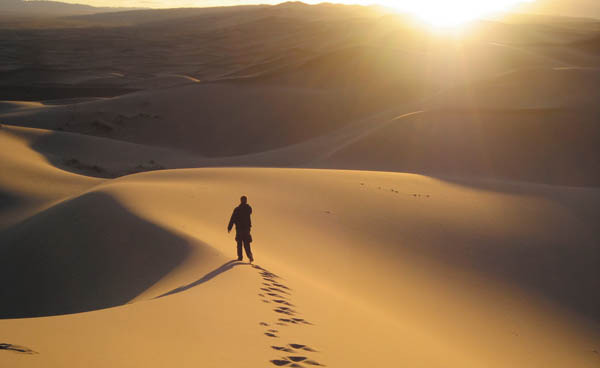 The desert is hardly ever mentioned in the Old Testamant. It is mentioned more often in the New Testament. Makes me think of the title of Matthew Gallatin's book: Thirsting for God in a Land of Shallow Wells. I was and that is why I left the Episcopal Church. The Germans left some of their churches in ruins as a reminder of the devastation they brought on themselves in WWII. 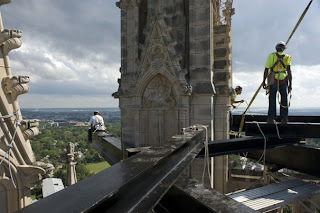 In a similar vein, perhaps the cracked and fallen gargoyles and finials of National Cathedral should be left that way as a reminder of the brokenness TEC visited upon the Anglican Communion and its own church body by its actions. At least, the $25 million would be better spent for mission work or feeding the poor, rather than paying to repair an outlandish building that TEC leaders themselves are no longer willing to hold out as a house of worship of the one true risen Lord.